Sometimes the best adhesive solution for your bonding issue is available in our standard product range. Our experienced team is always happy to guide you towards the best choice for your specific application. A tape that does the trick! Simply stated, this is what our customers want. But we know from experience that finding the perfect adhesive tape for your application isn't always easy. When we guide you through a forest of tapes, we usually don't start with an answer but with questions. 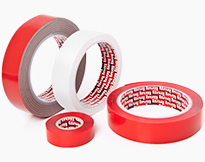 In most cases we can provide you with one of our tested and applied Linq Tape products. If not, we are confident we can help you with a tailored solution or sound advice. Multifoil is able to customize widths and lengths on your rolls, bobbins, pancakes, sheets, die-cuts and much more. Our comprehensive choice of technical double sided tapes for a broad range of industries and applications. 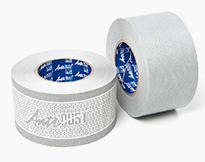 AntiDUST® tape is the leading brand of highly specialized breather tape for the polycarbonate industry.